Last weekend, I finally caught up with Thrifty Gal and got to try out my tua nao, or fermented soy bean pods. Thrifty Gal is a vegetarian who never eats Southeast Asian food in restaurants because she also has a nut allergy and it all just seems too Russian Roulette-ish. Of course, I delight in making Asian food that won’t kill her, and I was especially excited because I’d discovered in Chiang Mai a vegetarian alternative to shrimp paste. Southeast Asian food is tricky for vegetarian cooking because fish sauce and shrimp paste aren’t ingredients but foundational flavours, imparting salt and umami to dishes. You can salt with soy sauce or plain old sodium chloride, but rich umami sensations are a bit harder to achieve. Fermented fish and shrimp are basic to Thai cooking and I’ve read that poor families sometimes eat little but rice and fermented fish in the leaner months: you can’t just omit flavours this essential to a cuisine. 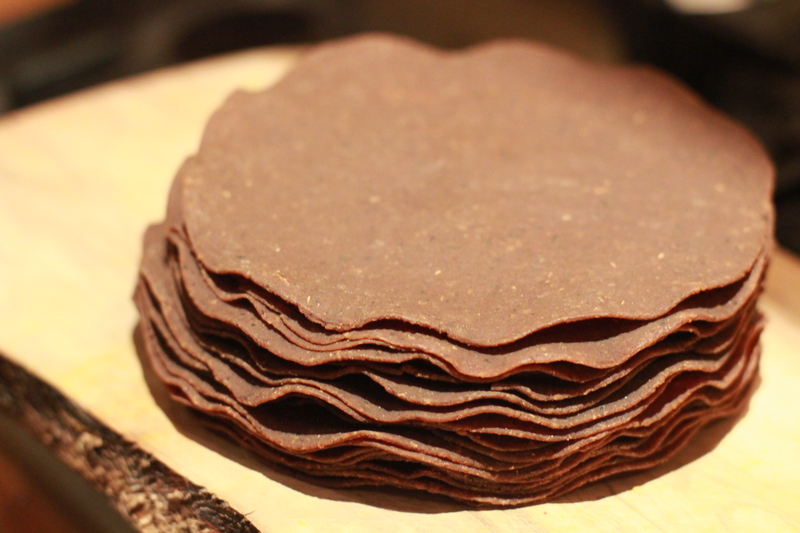 But in the Shan market in Chiang Mai, Naomi showed me tua nao, flat dry disks of fermented soybeans which do the same job in Northern Thai and Burmese cuisines. Perhaps because these regions are further from the sea, they developed a soy-based means of creating deeply savoury notes. Sadly, you probably can’t buy your own tua nao unless you have a seriously good Thai market to hand. But I think it’s worth experimenting with other forms of fermented beans: Chinese fermented bean paste in a jar is a good option, and though I’ve never cooked with Japanese natto, I’ve heard it’s similar. 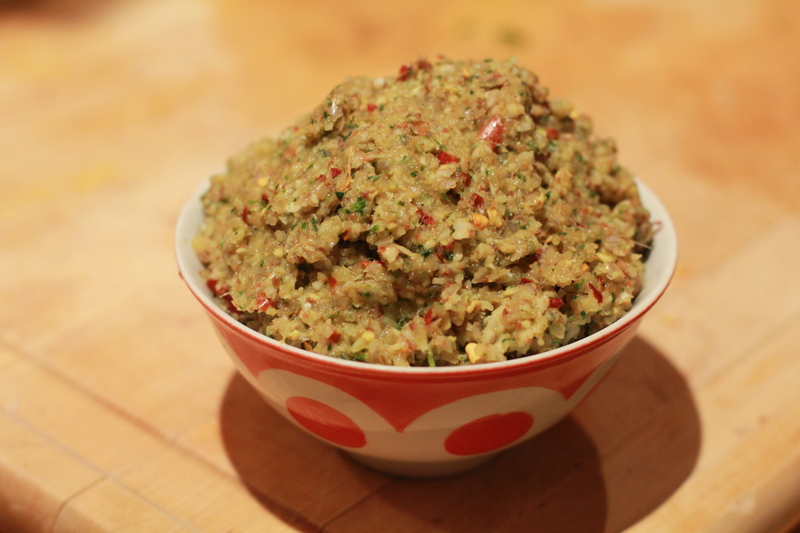 At a pinch, maybe even miso paste would work, though it doesn’t have the funky aroma. Thrifty Gal looked deeply skeptical when I gave her the tua nao to smell, but she was pretty content with the end result: a richly flavoured tofu and mushroom curry, Northern Thai style without coconut milk, but instead with a zesty broth. 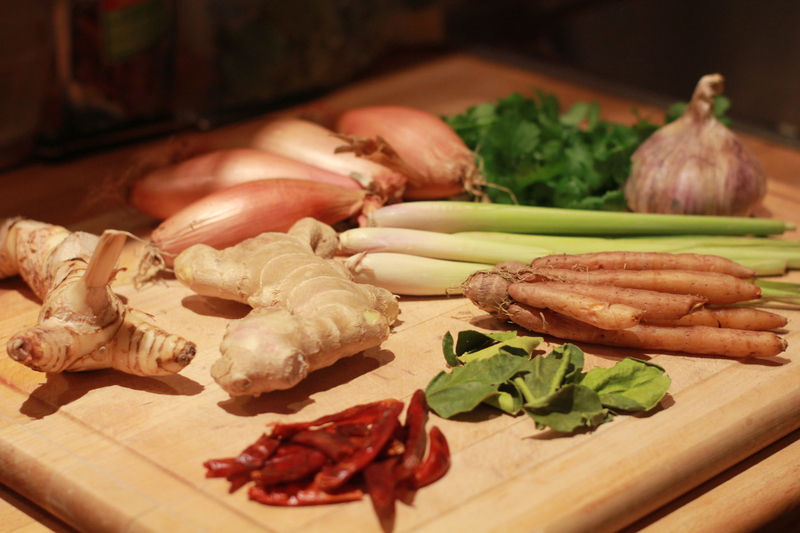 To make the curry paste, peel and chop the shallots, krachai, galangal, ginger, lemongrass and garlic and process with the lime leaves, chilies and cilantro. If you are lucky enough to have tua nao, grill them till bubbled and toasty smelling on each side (I used a cast-iron skillet) then break into bits and whizz in a mini-prep till you have a powder. Add into the curry paste, or spoon in fermented bean paste and stir. The paste will taste pretty darn hot at this point but don’t worry, it mellows when cooked. Next, in a wok, heat about 3 tbsp oil and, when hot, add garlic and then curry paste. 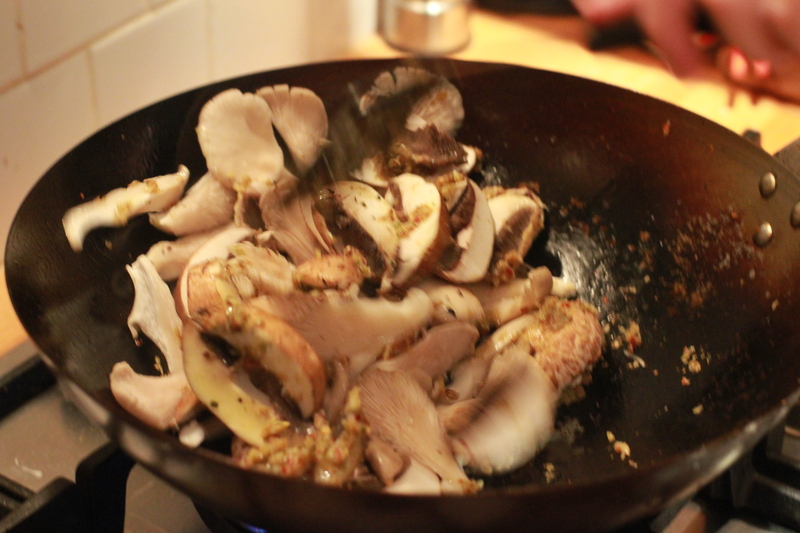 Fry till scented and not raw looking, then add mushrooms. 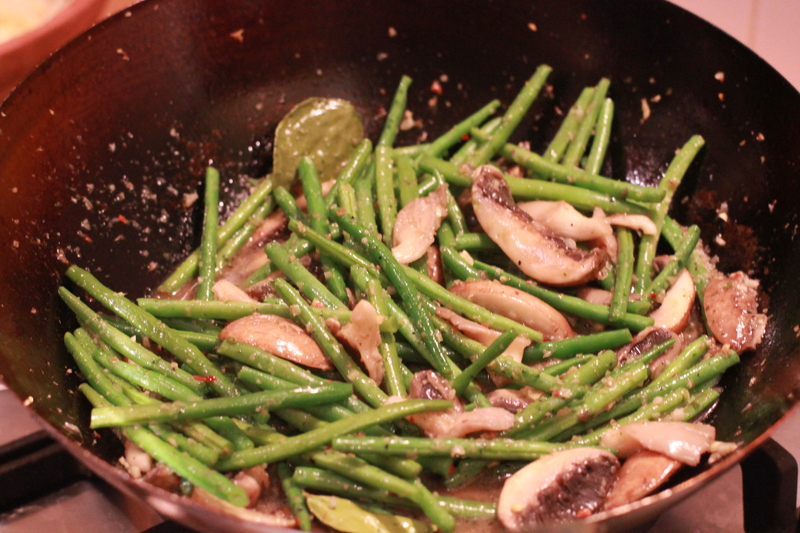 Stir fry until they colour and release their juices, then add green beans, lime leaves and about 1/2 cup water or stock. 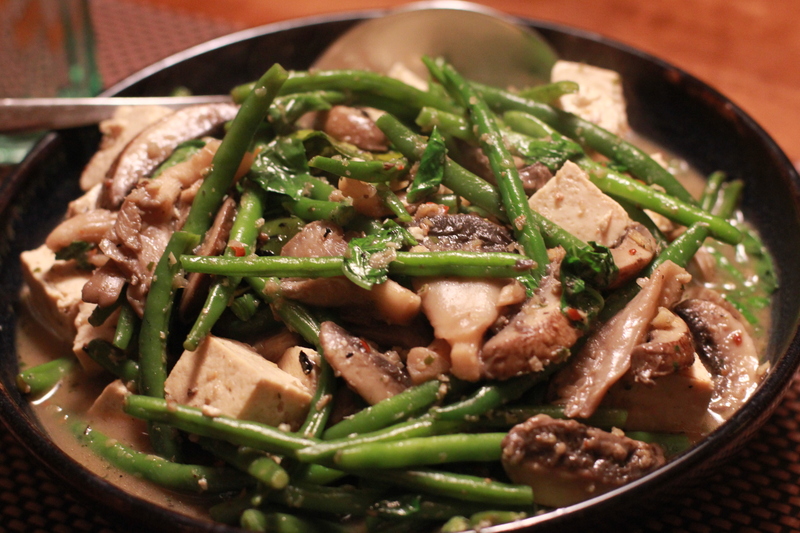 Add sugar and soy sauce, bearing in mind that your stock might be salty, so taste before dumping in all the soy. You want enough liquid to cook the beans but not enough to make the curry watery. It should end up as a rich, flavourful broth. Add more if necessary and cook for 5 minutes. Toward the end, stir in the tofu. Cook for another couple of minutes, turning the tofu cubes gently to ensure they completely soak in the curry. Finally, add lime juice to taste and stir in the Thai basil leaves. Recipe serves 4. Adapted from Naomi Duguid’s Hot, Sour, Salty, Sweet, which has a great (but not vegetarian) recipe for jungle curry as well as tips on using tua nao. I can, again, attest to the deliciousness.